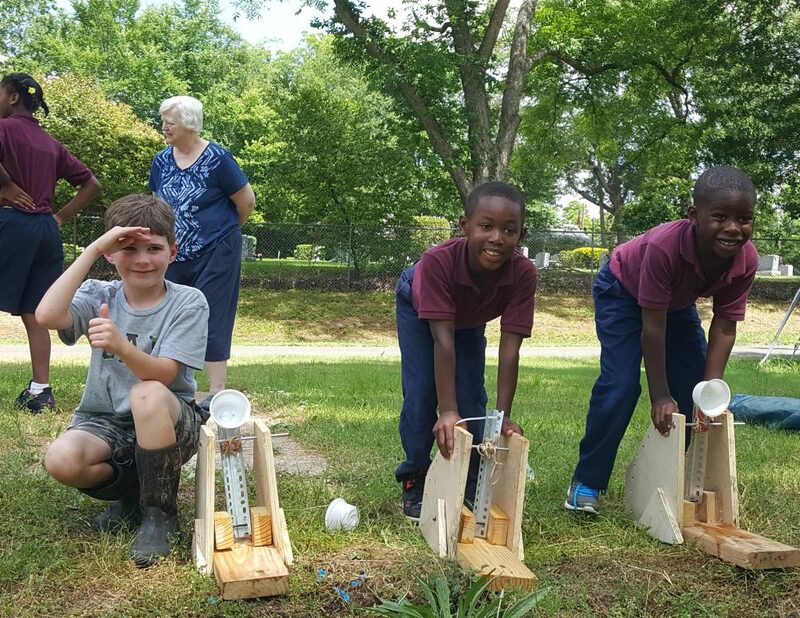 Neighbor Paul (left) joined Tylar and Jaylen in demonstrating the catapults they made in shop class this spring under the direction of Joe Bulger. School let out at Praise Academy in Shreveport on May 20. Students, teachers and Mission team members celebrated the completion of their first year with hymns and brownies (prepared by the pre-K class) before capping off the day with a water balloon launch. 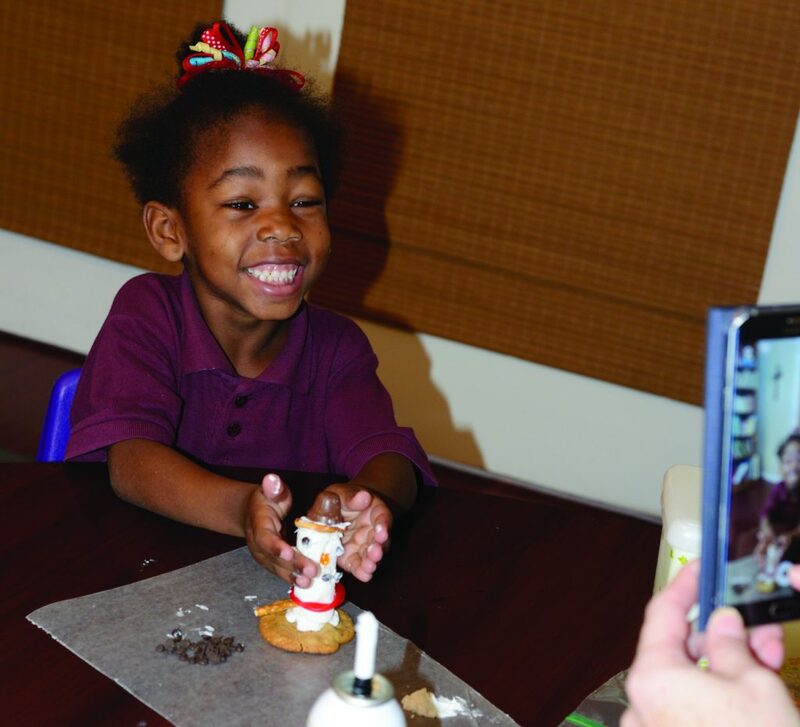 For Joan Pingel, the principal, a favorite moment came when several students ran to get their final projects—ABC booklets featuring letters, words and pictures—so they could show them off. The students expressed sadness at the close of the year, and one told Joan he planned to wear his uniform every day during the summer. During the final month of the school year, the students took a field trip to the zoo in Tyler, Texas. Seven of the eight students had never been outside the city limits before, and none had ever seen a zoo. Once there, Joan divided them into groups and sent them off with worksheets so they could check off animals as they saw them. After spotting a red fox or a lion or a giraffe, the children returned to “Miss Jones” squealing with delight. Joan wanted the students to get to see the white tiger’s graceful walk but, each time they went by, the tiger was asleep. Thirty minutes before they had to leave, they went by one last time, and they prayed that the tiger would get up and move. The tiger “lifted his head, looked right at us and walked down into another part of his cage,” Joan said. Principal Joan Pingel assists Tylar (left) and Jaylen with a drawing project. Kevin McShane, one of the teachers, recalled the first few weeks of school, when one of the youngest students would always cry or scream after being dropped off in the morning, missing his mother. Others struggled to learn the daily routine, a rhythmic succession of short lessons punctuated by free play, exercise, lunch and recess. “One student was resisting learning until Nano Farabaugh and Joan came up with a format called train station. 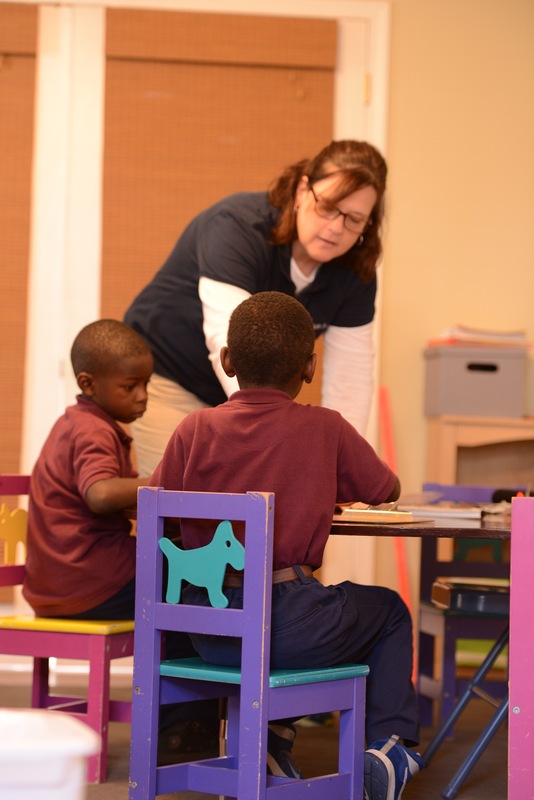 It allowed students to move around the classroom, choosing games and other educational activities at various stations.” At first, one of the boys could only put together five pieces of a 25-piece puzzle during a 20-minute segment of train station. A few months later he could complete a 48-piece puzzle. Libby Grondin, a Suzuki violin teacher and occasional violinist with the Shreveport symphony, volunteered to teach twice-weekly music lessons. She taught students the basics on a variety of instruments: tambourines, triangles, drums, maracas, violins and xylophones, and introduced classical pieces by showing performances on YouTube. “They really liked Rhapsody in Blue by George Gershwin,” she said. Libby also took two fifth grade girls to a symphony performance for schoolchildren. “Their favorite part? Every time the orchestra played! They wanted it to go on forever,” and even got annoyed when nearby students made noise during the performance. Angel enjoys her marshmallow cookie snowman. 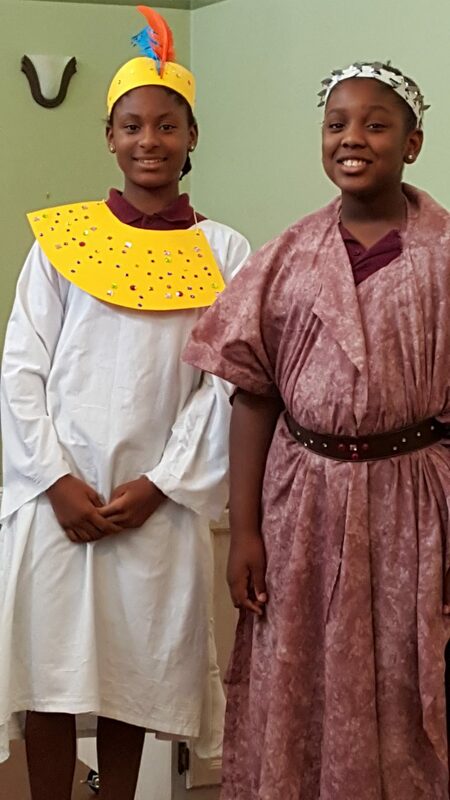 Latisha (left) and Shakiya dressed up and prepared food appropriate for the Egyptian and Mesopotamian civilizations they studied in history class this year. 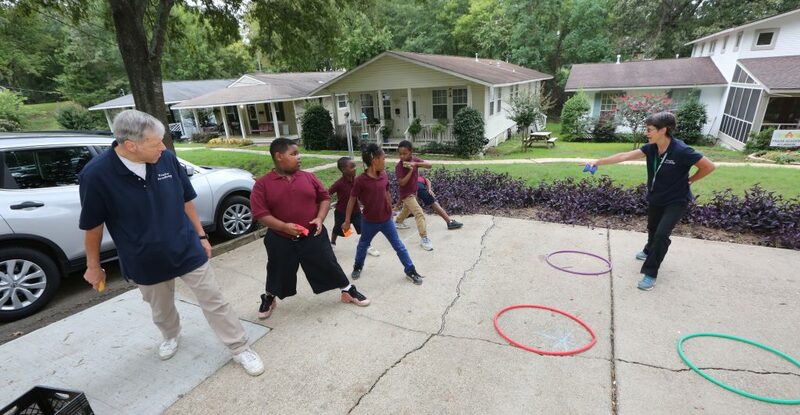 “In the next few months, Praise Academy expects to receive recognition of its status as a nonprofit corporation in the state of Louisiana,” added Paul DeCelles, the chairman of the school’s board.